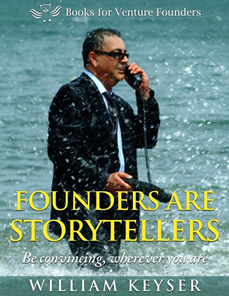 Startup Storytelling: startup storytelling is the most effective form of communication available to the entrepreneur. Startup storytelling enables you to make ‘me’ into ‘we’: to achieve engagement with the audience to draw people into the significance of how your business will change the world. 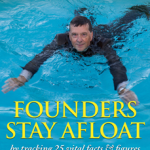 Successful founders are inevitably excellent at startup storytelling. Having the ability to tell the real story of your venture will make the business understood—and aprreciated. The book, Founders Are Storytellers will help you both understand why, as well as how you can be a convincing storyteller yourself. give suppliers good reason to do business with you. You’ll also find help with these aspects of successful storytelling on two other pages of venturefounders.com: Startup Statements of Intent and Entrepreneurial Empathy.